StartLine is a free Android app for racing sailboats. It is free to the members of the StartLine racing team. To join the team you just need to be dedicated to making StartLine the best app for racing by suggesting improvements, sharing your race results, or contributing designs. If you are interested you can get a free trial license good for 30 days. It is renewable. You need to complete an online application that shows you understand what you are doing and assume all risks yourself. Once you demonstrate the commitment to joining this community, you will get a license that does not expire. There is also some video training on THIS page. It really is this simple. Of course, adding the heel function, the Stowe Terminal interface, and the GPS like in the box above is more complicated. 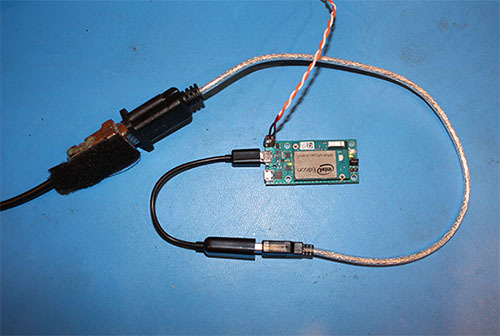 But you can get NMEA data, correct it, send corrections back to NMEA, and data to StartLine with just the parts below. Downloading log files can also be done using the Putty port without the router or WiFi. They can also be downloaded using a phone with an Android router app and SSH app. I hope to have a video on that soon. This video shows how to download the log files using WiFi and a Windows computer. There is also a video that walks through the process. The layout if a combination of breakout boards from Sparkfun and Adafruit. Upper right is the Edison. Lower right is the accelerometer for the heel reading. The small board next to it is a level shifter and is necessary for any of the options. The board just under the Edison USB connectors level shifts to RS-232 for the Stowe Terminal. The board all the way to the left is the GPS. The larger red board is only necessary if you want to read the Stowe keys and you have the GPS installed. 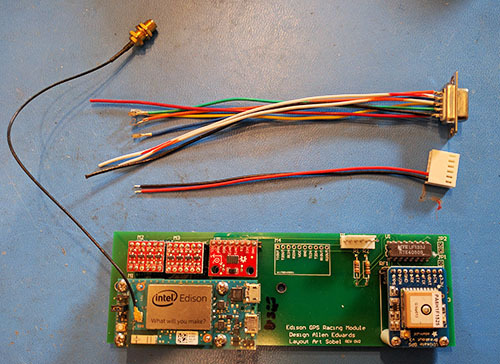 I no longer recommend using the MAX3232 part or the large nmea to i2c converter shown on the layout. 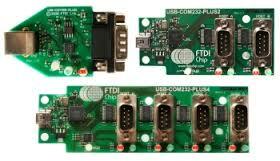 Instead use one of the FTDI parts shown here. The latest version is on a custom printed circuit board but the same thing can easily be done using a wire breadboard. It s a much simpler layout that the old version as it uses the FTDI chips. Documentation for building a StartLine RaceBox is on Google Drive. Members of the StartLine community who wish to build a RaceBox have access. This video applies to all versions of nmea. It is helpful to see where things really are and a video is good for that.